My dear Mother has/still has this meal planning book she carried around with her everywhere! In that book was her monthly family meal plan, recipes etc. Whenever an occasion was coming up that required a lot of cooking, she'd whip out her meal planning book. It's pretty worn out from many years of use but all our poking jokes at her book does not deter her from loving it. One day someone asked her for this bean recipe I'm about to share and the page containing it was nowhere to be found. Mayhem ensued as my siblings and I were made to search (for hours) for this one page. Of course the page was in her purse the whole time! After this page was found, I made sure to master the recipe in case the page containing this recipe ever found legs again. After preparing this dish countless times, I now know why it was so special to my mom. I hope this dish nourishes your body and soul as it has for my family through the years. Serving Size: Feeds 4-6 comfortably. -Pressure cooker OR large heavy-bottomed saucepan. 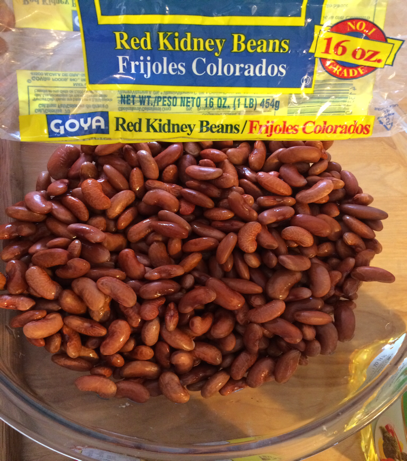 -2 1/2 cups dry kidney beans (not canned). You can find these in the International/ethnic aisle of your grocery store, sold in 16Oz. plastic bags. They're normally right next to the rice. -4 cups heavy coconut milk OR 2 cans heavy coconut milk. Alternatively, you can use 4 cups of chicken stock or water. 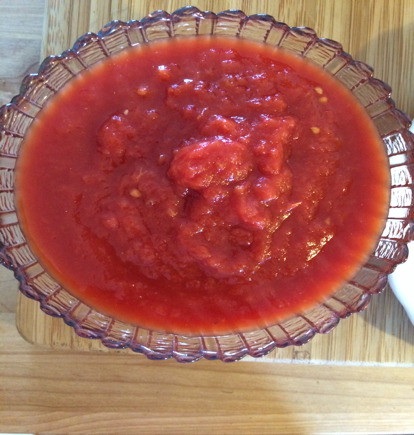 -3 medium tomatoes, diced OR 1 can diced, peeled tomatoes. -1/2 teaspoon chili powder OR 1-2 small green chillies, seeded and minced (use more or leave the seeds in if you like your food spicy). 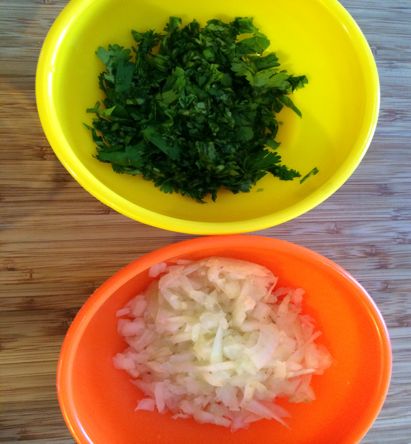 -1/4 cup chopped cilantro (coriander leaves). 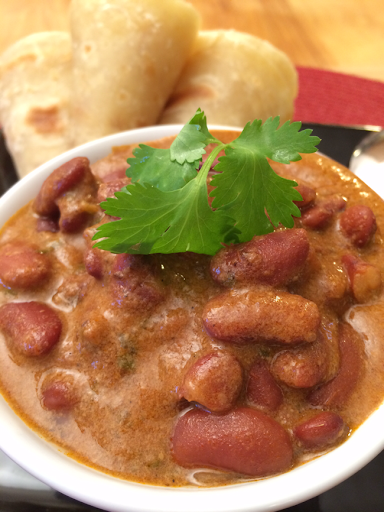 TIP: If not using a pressure cooker, soak overnight with three times as much water as beans . 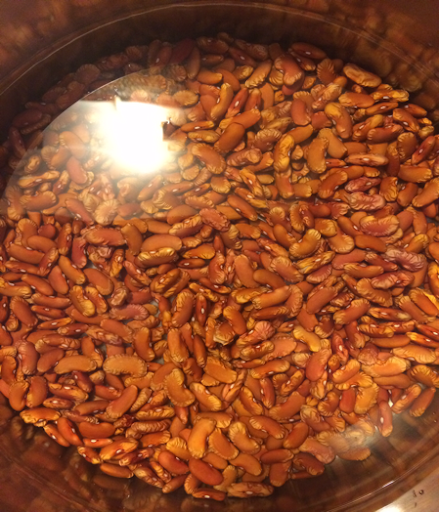 Add 1 teaspoon of salt to the soaking water to help the beans keep their skin on. Rinse thoroughly at least 4 times with clean water before cooking to get rid of water-soluble, gas-producing starches. Drain and proceed to cook using the recipe that follows below. 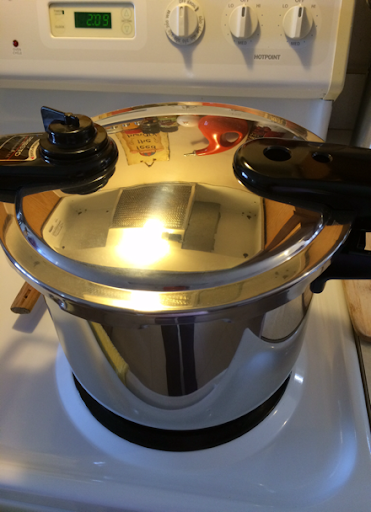 TIP: If using a pressure cooker, clean and rinse the beans; cover with three times as much water as beans. Bring beans to a boil and boil for 2 minutes. Remove from heat, add a teaspoon of salt to the water to help the beans keep their skin on. Cover and let stand for 1 to 2 hours. Drain and proceed to cook in the pressure cooker per the manufacturer's instructions using the recipe below (I cooked mine for 15 minutes). -In a large pot heat your oil on medium heat. 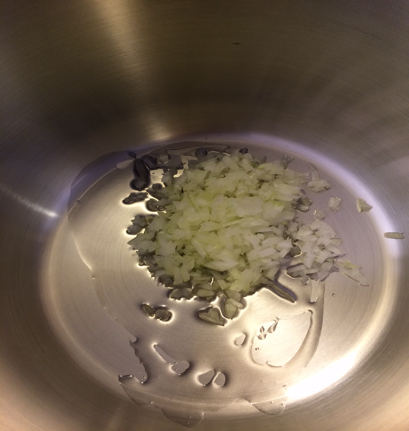 -Add the onions and cook until they start turning golden brown, stirring frequently. 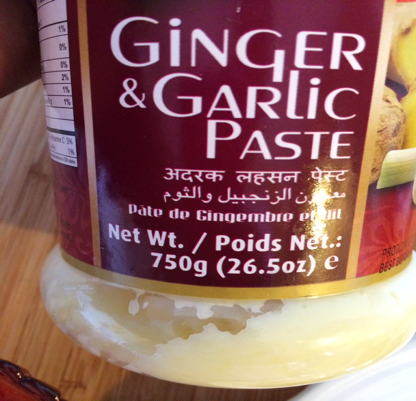 -Add in your ginger/garlic paste. Stir frequently and allow to cook for 2 minutes. -Add in your chili powder. Stir and cook for about 1 minute. -Add in your tomatoes, stirring frequently. If you're not using tomato purée, cover the pot and allow the tomatoes to cook down (about 3 minutes). 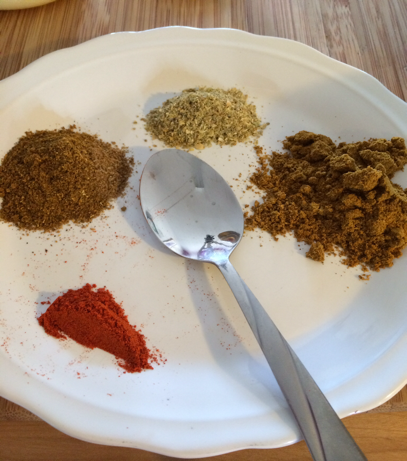 -Add in your curry powder, cumin, and ground coriander. Stir frequently. Cook this mixture for about 4 minutes. -Add in your beans and stir gently using a wooden spoon so as not to break the beans. 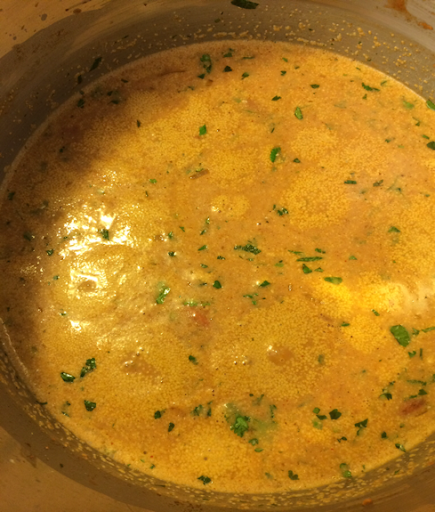 -Add in 2 cans of coconut milk (4 cups) to the beans and stir gently. Check for salt. Add your salt at this point. 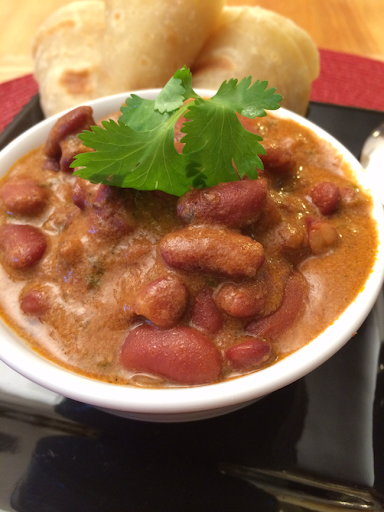 -Sprinkle the beans with your chopped coriander. Bring the beans to a boil, then reduce the heat to medium-low. Cover and allow to simmer for 25-30 minutes if not using a pressure cooker (mine took 15 minutes to cook in the pressure cooker). **Your beans are done when you can press the white from the inside of the bean without breaking it (not too hard or mushy). Your beans are ready to serve!! Goes very well with chapati, mashed potatoes, Korean sweet potatoes (that's what Kenyan sweet potatoes are called here in the US Asian farmer's markets) or white rice. I served mine up with some chapati (check out my earlier post on chapati). Mmmmm.....SO, SO GOOD!! !